95% Success Rate – Non CHP Violations! Don’t Pay That Ticket Yet! Hiring an Attorney Can Be Your Most Affordable and Pain Free Option! Even If You Got Red-Handed And Know You Are Guilty…You Can Still Keep Points Off Your Driver Record And Even Have Your Ticket Dismissed Entirely! 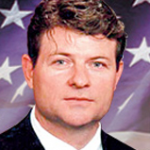 Having An Experienced Attorney Show Up In Court For You Can Drastically Improve Results! See Our 120 140+ Verified Reviews And Ratings On AVVO! 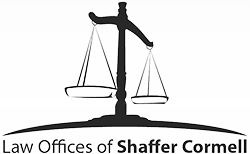 Shaffer Cormell here with the Law Offices of Shaffer Cormell. I understand that getting a traffic citation is always an unpleasant and unexpected experience…not to mention expensive! Since 1991, I have been effectively resolving traffic tickets for California drivers just like you using my expert knowledge of the law and YOUR rights. As an experienced traffic ticket attorney, I am pleased to say that our office has experienced a powerful 95% success rate in keeping points off of drivers’ records and even getting tickets dismissed entirely! I’m confident we can get the same results for you! receive SPAM email or have your info sold to ANY third parties whatsoever! That’s a promise! I look forward to our call! Please…do NOT make the mistake of just paying off your traffic ticket! You may pay for years to come for that mistake! Before you pay your ticket or even consider traffic school, you should consider a few benefits of having a traffic ticket attorney show up for you in court for your ticket. Avoid Points That Will Result In 3+ Years Of Higher Insurance Rates! Avoid Wasting Hours of Your Life In Traffic School! No Need To Miss Work, Life, Or Even Vacation To Show Up In Court At All! From Out Of State? Don’t Stress…We Can Handle EVERYTHING For You! Commercial Driver? We Will Help Protect Your CDL License! I got slapped with a ticket in Temecula for an illegal U-Turn. I had never used an attorney before, but I decided to give it a try. I called Shaffer, and he not only kept me completely out of the court room and even traffic school, but he also kept all points off my record! I was guilty as could be, but I guess that doesn’t always matter when you have someone who knows what they are doing . I know who will get a call next time I get a ticket! Thanks again Shaffer! I just got a much needed new job as an outside sales rep that requires me to drive 3,000-4,000 miles per month. I got cited for doing 98 mph on the 15 FRWY by the CPH based on his radar. I already had two points on my driving record, and I would have have been looking at losing my license and losing my job. Fortunately for me, I hired Shaffer to help me keep my job and fight this ticket. Because of his incredible knowledge of the law and how the local courts work, he was able to get my case entirely dismissed! I am flabbergasted! I thought for sure their was now way to beat this and thought my job was gone for sure. If I ever have any traffic ticket issues again he will be the very first person I will call! To make a long story short, I found myself in a MAJOR bind with two supsended licenses and 13 tickets on my record! My car was eventually impounded on a traffic stop and I didn’t know how to get out from under my situation and back on my feet again. I decided to hire Shaffer to help me out with my situation. This was my first time to hire an attorney. Shaffer far exceeded my expectations and somehow was able to get 11 out of the 13 tickets completely dismissed with no points or fine. Best of all, I was able to get my license back! Now I can finally drive with ease wherever I please and without having to look over my shoulder in fear of being pulled over. I can’t tell you how much less stress I am under. I don’t know what I would have done without Shaffers help! I couldn’t be more pleased with how honest and fair he was with me, and I know who I will always recommend as a traffic attorney! Thanks again Shaffer! I’m a busy real estate agent and found my self in too big of a rush to stop properly at a stop sign, and on another occasion I ran a red light completey…oops! I got pulled over and issued a ticket on both occasions and found myself facing the possibilty of having my license suspended because of the new points these tickets would add. Fortunately, I was referred to Shaffer and he was a complete life-saver! He was able to get one of them dismissed entirely and on the other kept all points off my record. I didn’t have to show up to court or miss any work at all. I’m so impressed with my results that I am telling my entire real estate office about him. Thanks again Shaffer! Want These Kind Of Results For Yourself? Fill Out The Form Below For a FREE Phone Consultation With Me! Tell Me About Your Ticket Below And I Will Call You For A Free Consultation! Yes or No: Have you received any other traffic violations in past 3 years? Yes or No: Do you have a commercial drivers license (CDL)?